There’s a bit of a slanging match going on over the sale of New Zealand wines in Singapore at the moment, so I’m going to stay out of the way and focus on Aussie wines until things settle down. A word on GST: If you’re buying wine in Singapore (other than for consumption at a restaurant), the price quoted must include GST. If like me, you find GST added to the retail price after you’ve made your order, cancel the order and dob the offender into the IRAS. It’s not like GST hasn’t been around long. It’s tough enough out there for the law-abiding sellers without having to compete with those who gain advantage by appearing to show low prices. A word on vintages: Yep, it still happens, You order one vintage and you get delivered another. There’s no excuse for this. I’ll give the seller the benefit of the doubt (for a genuine mistake)– but only once. After that, the wine goes back and the seller’s off my list. A solid bunch of wines recommended here. Nothing exceptional (although the Voyager Cabernet Merlot is the best comparative value wine here), just good, down to earth pricing. The cheapest are the Majella Musician Shiraz and the Charles Cimicky Trumps Shiraz, each at S$27 a bottle by the case. If you can’t spend S$27 on an Australian wine, I guess you should be looking elsewhere (or going teetotal). Also, if you like your wines with a little less alcohol, have a look at the by Farr from Geelong. 2003 / Leeuwin Estate / Margaret River / Chardonnay / S$88 at Wine Exchange Asia – 3 star to 5 star depending on who you follow. Jeremy Oliver has it as 5 star (97 points), as does Gourmet Traveller Wine. Wine Spectator thinks 4.5 but if you follow Wine Estate (I don’t), they say 3 stars. Drink out to 2015. RRP is/was about A$85 so BBI reckons this is “Good Value”. 2007 / Voyager Estate / Margaret River / Chardonnay / S$52, S$49 by the half case at Wine Exchange Asia – 5 stars. Halliday and Oliver agree on 96 points! Can’t get easier than that. Drinking 2012 – 2016. With a RRP of A$42, another “Good Value” rating. 2008 / by Farr / Farrside / Geelong / Pinot Noir / S$70, S$63 by the case at Island Wines – 4.5 star. Halliday 94 points, drinking to 2016, 13.5% alc. RRP of A$65 so “Good Value” again. 2008 / by Farr / Sangreal / Geelong / Pinot Noir / S$70, S$63 by the case at Island Wines – 5 star. Halliday 96 points, drinking to 2018, 13% alc. RRP of A$67 so BBI says “Good Value”. 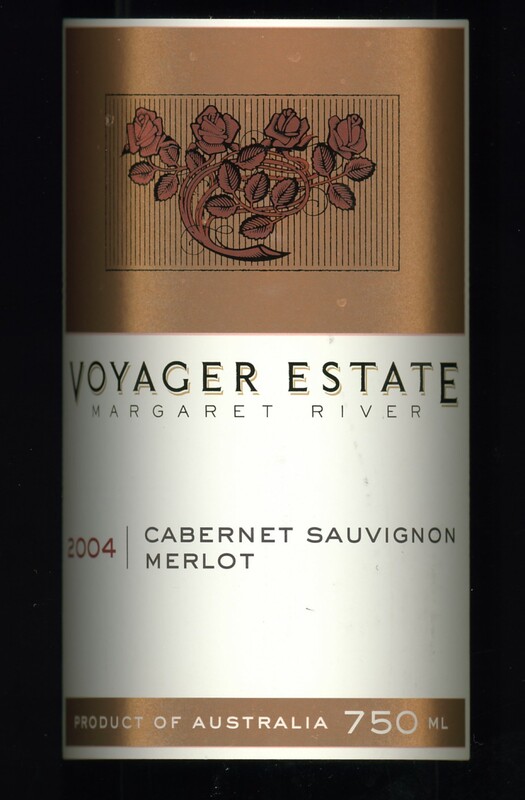 2005 / Voyager Estate / Margaret River / Cabernet Merlot / S$54, S$52 by the half case at Wine Exchange Asia – 5 stars. James Halliday 96, drink 2015-2025, Jeremy Oliver 95, drink 2013-2017+. The only other thing you need to know is the value. RRP of A$60 so BBI says “Terrific Value”. 2008 / Majella / The Musician / Coonawarra / Cabernet Shiraz / S$30, S$27 by the case at Island Wines – A range of 3 star to 4.5 star. Halliday gives it 94 points, and Epicure gave it 4.5 stars. Wine Estate gave it 3 stars and 4 stars in the same issue (?). With a RRP of A$17, the price here earns a “Good Value” rating. 2008 / by Farr / Geelong / Shiraz / S$66, S$60 by the case at Island Wines – 5 star. Halliday 96 points, drinking to 2020, 13.5% alc. RRP A$63 so a solid “Good Value” rating. 2008 / Voyager Estate / Margaret River / Shiraz / S$45, S$42 by the half case at Wine Exchange Asia – 4.5 stars. Halliday 94, Oliver 92. Drinking to 2016. RRP of A$32, “Good Value” again. “When we die, all that is left of us is what is mineral and material – our skin, veins and tissues, all that decays. Wine gives us a sense of life, of what persists. That’s why people spend a lot of money on a great bottle” – Jacques Lardiere, winemaker at Louis Jadot, speaking with Stephen Brook in Decanter, September 2010.